Expert IT support articles, technology news + reviews and maybe the occasional funny story! All written by the TechSolvers Techies! 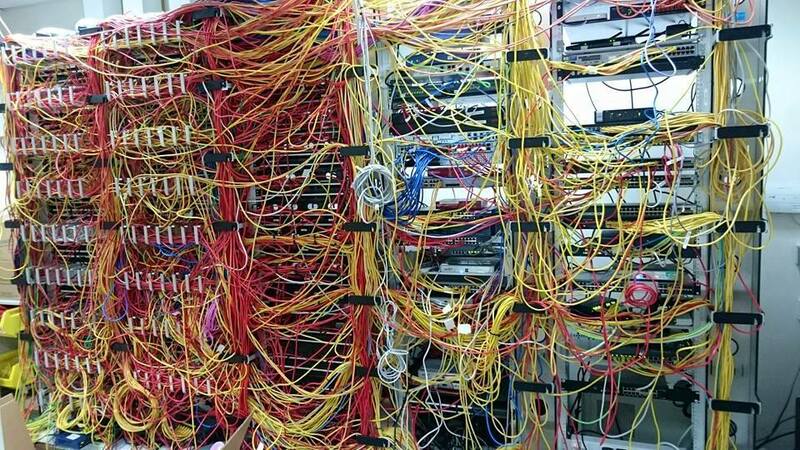 Network racks can be a disaster... Just look at this one!! 1. 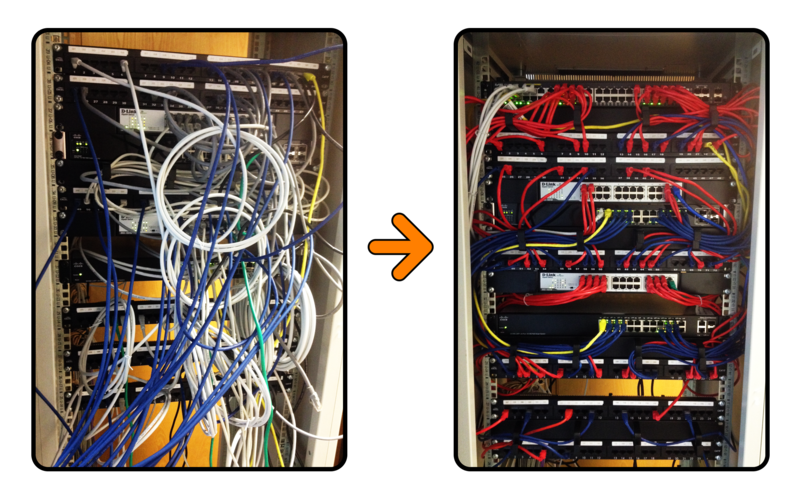 If you need to patch in a new network point, or simply move a device, you need to find one specific cable. If the rack is a mess a simple job could take you hours. 2. 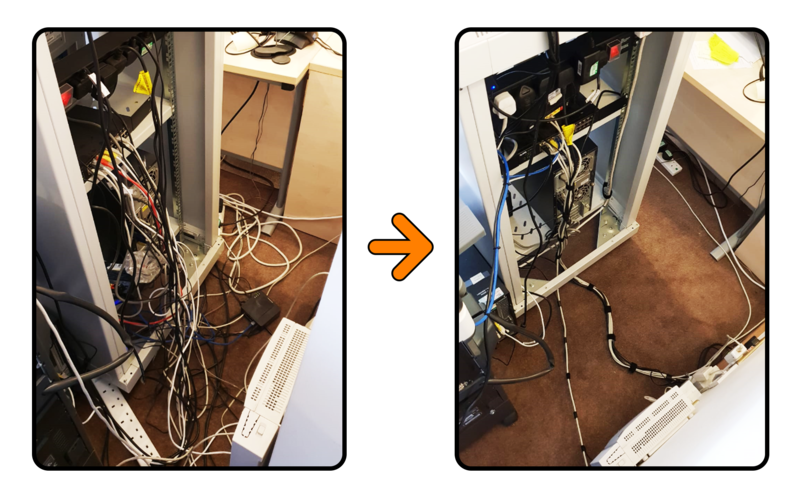 If there is a network issue, then it’s almost impossible to understand what connects to what, until after you clean up the mess. 3. If you are not on site, but need to talk someone though what should be a simple patching change or device restart…. Well you can’t! 5. Let’s just be honest, it’s also an eye sore, an embarrassment! So now you know all that, take a look at the below, some of TechSolvers own before and after pictures. 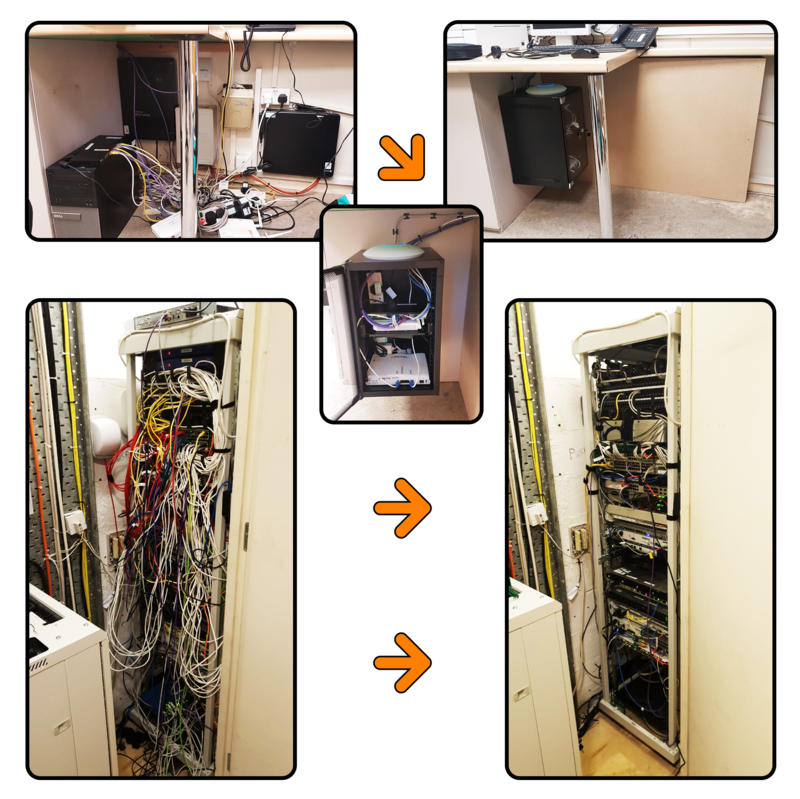 If your rack or server room is looking like it needs to be tidied up please get in touch as we need more photos for our gallery 😉 plus we would love to discuss how we can fix it, and stop it happening again! We have said it before and we will say it again, we work closely with AVG-Avast using their Managed Workplace solution to help keep our clients secure, and provide world class support. What exactly does it do??? Integrated monitoring, alerting, management, antivirus and premium remote support, all from one platform, one pane of glass. If after reading that you would like to take out a trial, or come and see it in action just let us know! While most of the focus on TechSolvers social media is about the company and what we do, the most important aspect of any company are the people who work there. And it’s one of our staff we want to shout about today. Billy Jeffs our esteemed HelpDesk Team Leader. Billy has always had many interests in his life, from music (We have lost count of how many instruments he plays, and we won’t mention the record label that’s signed up his band), to darts, quad copters and Rubik’s cubes and more. Today though we wanted to mention his desire to make a Viral Video. The difficult bit, coming up with something no one has ever done and something which sparks of a social media Share Storm (if that’s not a real phrase it should be). I honestly don’t know if I believe it, but turns out the idea can be as off the wall as playing The Imperial March from Star Wars (you know, the one that goes…. Dum dum dum, dum de dum, dum de dum). If I said its Darth Vader’s theme would that help?. 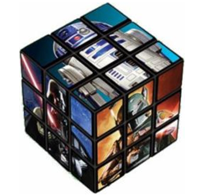 Billie’s bright idea was to play this music using a Rubik’s Cube as the only instrument, and to have the cube solved at the end!….Yes I did say it was an off the wall idea. Well it seems like it worked, and you if want to see for yourself, here it is! From sophisticated ransomware and phishing schemes, to increased compliance and GDPR challenges. 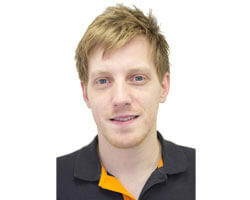 Avast recently asked their partners, including TechSolvers of course, to share their thoughts. Avast were interested in knowing what their partners thought would be the major security concerns in 2018. With their drive to make security a core element of the Managed Workplace service portfolio, knowing what their partners wanted in this area made total sense. It’s that kind of thinking that means we will be working with them for many years to come. 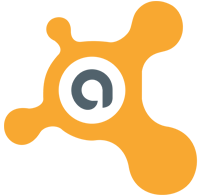 The feedback they received can all be seen here on the Avast website. Phil did have a few more comments than just these two, and we may try to persuade him to post the full list. For now though, if you are looking for more, why not give us a call to discuss prioritizing security in your business. Here at TechSolvers we have always seen the value of Remote Management and Monitoring services, and for the last 3 years we have been working with AVG-Avast utilizing the “Avast Business Managed Workplace” platform. One of the reasons we choose this tool in comparison to others is the belief, from Avast, that their product is shaped by its users. As such, with regular reviews, we have been able to influence the products roadmap making it better and better year on year, with a focus on improvements around the areas we needed. Avast recently asked a number of their partners to help put together case studies, studies that show how Managed Workplace is helping companies like TechSolvers provide the best possible customer service we can, by giving our engineers the tools they need. Add on to this aspects such as automated problem detection and resolution, automated anti-virus and patch management, quick and simple remote control etc. It means we are freeing up engineer time, time that can be better used talking to our clients and providing the customer centric support experience we pride ourselves on. Alternatively if you only want to read about TechSolvers (and honestly we think you should), then you can download the case study here. We've recently been working with a number of businesses in St Albans, so we are reaching out to all the businesses there to say hello. 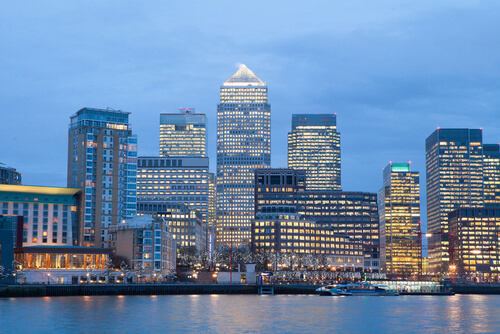 With an office in nearby London Colney, Hertfordshire, we can not only provide our remote support assistance but also quick onsite assistance as well. If you've not already heard of us, we're the friendly IT Support team that can help with all your computer based needs. We cover everything from Security to Backups. 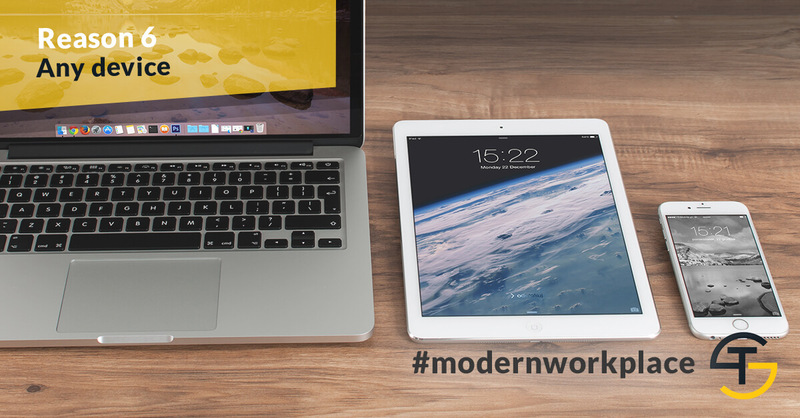 We can even set up remote working to give extra flexibility to your employees. Many of our customers are businesses of all sizes in Herts and London. We love working with local companies, schools, museums, hotels and other organisations. We are just 3 miles away from the very centre of St Albans, so we can reach locations such as London Road and Centrium Business Park in no time at all if we ever needed to visit your site. Or… you could backup reliably! Imagine being able to go back to when things were working at the click or two of a button. Or being able to retrieve the very important file(s) or folder(s) that one of your colleagues has deleted in a blissfully ignorant moment. Bad things and accidents will happen no matter how much you lock down your systems or maintain them. If you’ve worked in IT you will have seen this, if you have worked in IT long enough you will also have seen instances where the opening line of this blog is the backup plan! If you haven’t worked in IT, you will still probably be aware of the recent ransomware attack on the NHS in May. In this type of attack, files are encrypted and ransomed to the organisation who are asked to pay (a very high price!) to retrieve these files… hopefully. (Would you trust the person who orchestrated the encryption to provide the decryption after you have coughed up a very large sum of money?). A good backup solution will minimise the data loss and cost of restore. The above example is only one of many possible disasters that can affect an organisation. 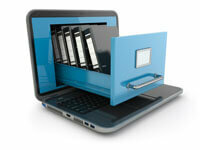 Backup will enable you to mitigate file loss and disaster. However, a well-designed system and a good backup solution will enable you to mitigate file loss and disaster in as fast a time as possible so that you are back up and running and can continue with your day to day business. Trust me, it is very frustrating using a slow backup destination to restore from and there is nothing worse than finding there is no backup both for the IT department and the organisation. So, investing in a good system and backup solution is a must if you do not want the worst to happen, or have a very long wait to recover from a disaster. With the move to virtualisation in the industry, backup is now easier and faster than ever before. If you are not using virtualised servers and running individual servers on their own hardware it is well worth looking into getting them virtualised – it will provide options and benefits for your environment, not just from a backup perspective. 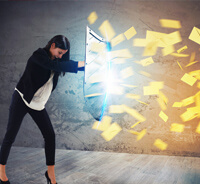 There are many options for backup available on the market and it would be wise to seek advice on which will be best for your organisation in terms of both cost and functionality. One of the products we use, which we really like, is called Altaro. It is a very flexible product which gives us many options to suit our clients’ needs when it comes to the backup of their virtual machines. A choice of backup media destination for onsite - physical drives or network shares. A choice of backup media destination for offsite - physical drive (which can be manually swapped), network path or server (at another geographical site) or Cloud. A choice of which machines to backup. Compression is impressive so backup storage is efficiently used. We have seen rates of up to 80% compression! Backups are incremental meaning backup time is reduced. The ability to test backup by using sandpit restores. File level or whole machine restore is possible, along with Exchange item level restore. With Altaro a new host can be introduced into the infrastructure and restored to – a great benefit if your physical host is broken beyond repair or it is quicker to run on a temporary host. Whole machines can be booted on the backup media providing a quick restore, though operational speed will be determined by the speed of the backup storage. What is important once you have your backup solution in place is that you ensure your backups are working reliably. Firstly, a decent backup solution should come with inbuilt alerting, at a minimum this should be configured to alert on failures and warnings. In addition to this there should be regular tests of the backups implemented. By doing this you will avoid nasty surprises when you need your backup the most, and gain peace of mind that they are working as you would expect. In addition to checking your backups onsite you should also consider shipping backups to an offsite location (and adding checks for these!) this will protect against a complete site disaster where your onsite backups have also been destroyed. With the advent of the Cloud and technologies such as Microsoft Azure it is now easier than ever to ship backups offsite automatically (i.e. they cannot be forgotten by the onsite user / engineer who, in the past, would manually swap a disk on a daily / weekly basis). A good backup solution such as Altaro will now incorporate the ability ship backups to an offsite location of your choice. You will however need a decent and reliable internet connection! You are only as good as your last backup! If you do need any help or advice with a similar issue, please give us a call on 01923 537247, and I or one of my colleagues would be more than happy to assist. Security, Security and more Security! In this day and age, it’s unusual to go for much more than a day without hearing a story about IT security in the news. It may be the NHS and ransom ware, small businesses trying their best to understand the current situation, stolen photos from an individual’s smart phone camera or advice on protecting your smart fridge at home! A few years ago, people would consider the security of work systems and computers solely as the responsibility of the IT team. A few years ago we may not all have been as concerned as we are now in regards to the theft of our own personal online identity. These days though, we need to think again! The companies we work for need our help to keep company data secure and their services online. The advice we can give them to stay safe online will help to protect their personal data and their on-line identities. Well in short it means thinking before you point and click and thinking about the potential consequences of our actions. It also means taking our own small but sensible precautions. Sounds simple, right? But what can you actually do. The list below is what the TechSolvers team have compiled in just a few minutes. If you can think of something we have missed, let us know! Make Sure you have Anti-Virus software installed on any computer you use! If your work laptop doesn’t, call IT. If your home PC or Laptop doesn’t, install some now! (and don’t forget to keep it updated). And yes, this goes for Mac users too! While viruses for you guys are less common, they do exist. Including the dreaded ransomware strains! 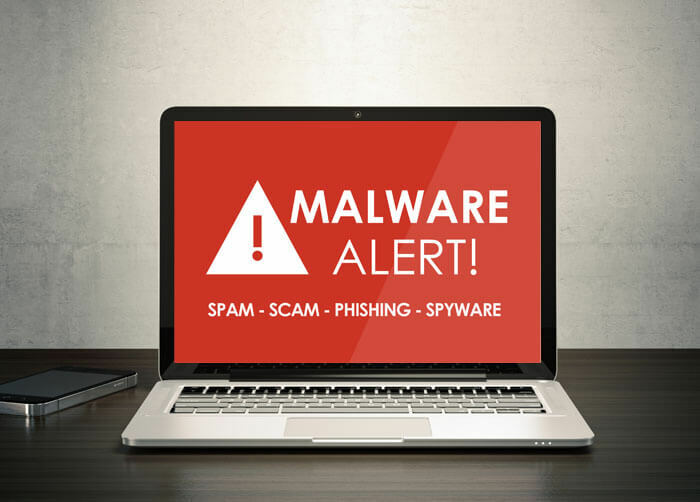 Malware infections are not the same as virus infections. Install the free version of Malware Bytes to protect against Malware and every now and again, run a scan! Whether your machine runs Windows or Mac OS, it still needs patching. Simply set your system to automatically install updates. When you are prompted to restart your machine to allow patch installs to complete, just do it! Don’t cancel the restart no matter how tempting. If your machine is running an operating system that its manufacturer is no longer supporting (no longer fixing security flaws) then it’s time to either get a new machine or at the very least, install a newer operating system on the existing hardware. That means if you have a Windows XP machine, or MS Server 2008 R1, its time to upgrade! If you have an application installed, it may have a vulnerability that opens you up to the prospect of attack. The simple solution is to uninstall any applications you don’t use! For the applications you do need, make sure you are updating them to the latest version. Even if you are happy with the version you have, the new one will have more security fixes and less vulnerabilities. So keep your apps updated. Prime candidates for this are Chrome, Adobe Ready, Java etc. but the list is endless. Webcam on your laptop? Hackers can access your web cam without you knowing. The most hi-tech fix is to put a bit of tape (not clear tape) over the camera. The solution does not have to be complex, as long as it works! Make sure when you log into your computer you have created yourself as a user, not an administrator. Users can do less damage if they do get hit by a virus. Only log in as Administrator when you need to use those privileged rights. If you get an unsolicited call from Microsoft or Apple, then it is a scam! These companies do not just ring you up and ask if they can help. You have to contact them. If someone calls you saying that your computer has errors, then it is 100% a scam. Make sure you need a password to connect to your home wi-fi. It may seem easier to have it just open for anyone to use. However, if your neighbour finds out and starts illegally streaming movies over your connection, it’s not them who will get into trouble, it’s you! When connecting to public Wi-Fi (free/paid) then play it safe and don’t do any online banking, or anything that involves sensitive passwords. It’s possible via an attack called “Man-In-The-Middle” for anything you transmit on a public network to be listened to. So, stay safe and don’t use public Wi-Fi for anything confidential or secure! For every account that you have, you must make sure the password is unique and complex. Passphrases such as “idontlikepasswords” can be easier to remember but are just not secure. Change them to something more like; “1d0ntl1k3pa55w0rd5”. After you’ve typed it in 5-10 times it will be just as easy to remember! Don’t write your passwords on Post-iT notes or give them to your colleagues, friends or even family! Don’t use your date of birth or any other sensitive information in your email address. This is the type of info a hacker needs to get through a “forgot your password” utility. This information needs to be confidential. So obviously the address; Tom-Jan1st-1976-at-my-pets-name-was-Dave-The-Dog@gmail.com is not ideal! If you have a Windows PC or Laptop, ensure that the Firewall is switched ON. The firewall blocks incoming connections, but allows outbound ones. So you can still work as normal, but the Firewall is an important layer in your computers defense. When you buy devices for your home be it a new router, security camera, internet enabled fridge or smart kettle (yes, they do exist! ), then change the default password. Even if it looks complex and unique already, still change it. Hackers can easily find the default password for most devices just by doing a quick Google search! You are giving these companies access to your personal profile on Facebook, a profile which contains your date of birth, mobile number, details on your pets. Basically, more than enough information for someone to impersonate you. Review all of your privacy settings, lock them down so only you and your friends can see any of your personal information. Then do some testing and see what you can find about yourself online! With all social media, be selective about who you engage. If you get a friend request from someone you don’t know, its most likely a scam/fake profile. No matter how attractive their profile is, don’t accept the request. You could send them a message to ask how you know each other, but go no further unless they prove themselves to be legitimate! Avoid status updates detailing where you are and for how long. Posting that you are on holiday for 2 weeks just lets the whole world know that no one is going to be home! Need we say more. The number one tip with email is don’t open an email unless you know the sender. This can sometimes be difficult to call (we accept), so the lighter version is don’t open an Attachment unless you know who sent it, and why. If there is a link in an email, don’t click it. Instead, use Google to find the page you need. The point is that while the link may look like www.SafeSite.com it may actually take you to www.malwarebehere.com. Just because the text says one thing, it doesn’t mean the link will take you there! If you are emailed a Word or Excel document and upon opening it you are asked if you want to enable Macros, say NO! Macros are programs that can run inside MS Office documents. They are very commonly used to spread viruses, malware and ransomware so stay away from Macros unless you are 100% sure of the source. Stay safe on line and only visit reputable websites. For example, don’t just surf the web by clicking on a link that seems interesting. You know the stuff you are interested in so look for it on a reputable web site, don’t just follow links as they tend to spiral down through much less reputable sites. When online, only visit websites with a padlock icon and green text in the address bar. The padlock means that the site is what it says it is. Filter out the worst sites on the net using OpenDNS. Make sure you have set a PIN code to unlock your phone. Without one, if anyone gets hold of your phone then it’s far too easy for them to steal your identify. Phones are easily lost or stolen, but a PIN code or finger print to unlock them stops this risk and it only takes a minute or two to set up. Don’t install Apps from any non-official App Stores. Even if your friend says it’s safe, just don’t. For an App to be listed on the Apple or Google Stores it has to be shown to be secure and safe. If an app is not listed there, but is available elsewhere, then guess what? Its 99% likely to be insecure or even worse, designed to steal your personal information. On this site, you can enter your email address and see if it’s been compromised in the past. If it has, change the password! We would also add that it’s always important to make 100% sure you have a good working backup. There is always a risk of data loss, so back up regularly and test that you can restore. Just in case the worst does happen! An IT Support company that's quick to answer?! It recently dawned on me that within business hours, I’ve never heard our office phones ring for more than around 30 seconds! We do have a call queuing system in place, but I’m pretty confident that nobody has ever been higher than position 2 due to how promptly our engineers answer our phones. I’d say that a lot of helpdesks out there will be taking advantage of their queuing systems and may not even have audible ringtones, relying on only the lights on their switchboard to know when there are people waiting. This is the kind of thing that leads to very long call waiting times and of course the frustration that comes with it! This has never been how TechSolvers have worked. 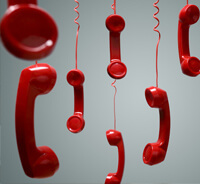 Our phones are all set at maximum volume, which also helps as answering the phone stops the racket! Even if our agents are all busy, your call will still be answered swiftly so that you can let us know what you need, even if it means we give you a call back in a few minutes. Sometimes we get asked questions by our clients that make us scratch our heads and think outside the box. Just recently we were asked by a client how they could move an email from the inbox of their own mailbox, to a sub folder in a different mailbox. Of course, this would be easy using the full Outlook application, however this client wanted to be able to do this from an iOS device. The iOS Mail application has the functionality for this, so you would think it would be simple. However, it turns out that if your mailboxes are on Exchange (including Office 365) then simple it is not. The problem is this: In the iOS Mail app you can select an email, click move, and then you should be able to select another mail account (one already setup in iOS Mail) and drill down into the destination sub folders. The easiest way to show this is with a screen shot. In the below example, I have selected an email in the TechSolvers account and clicked to move this email (into a subfolder of the “Harry Exchange” account). I then clicked the option to select what account to move it into, and “Harry Exchange” is greyed out! 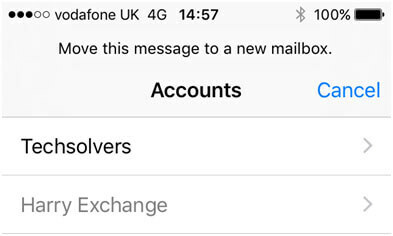 When it comes down to it, the fact is that the iOS Mail application can do what we want, but only if the mailboxes are IMAP, and not Exchange. You would think maybe that putting the Outlook mail client on the iOS device would help. Unfortunately not, as the iOS Outlook application does not have the functionality to move emails either! So, if it’s not possible, that means that one of our clients must travel with a laptop just to do this one function. We didn’t want that to be the case, so we scratched our heads some more. While Microsoft and Apple seem to say that what we want to achieve is not possible, just by understanding that the limitation is due to the Exchange protocol being used, and not IMAP, a solution presents itself. Exchange accounts can also be accessed via IMAP, and with this in the forefront of our minds, the solution became simple. 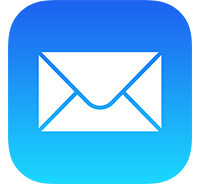 We created an IMAP connection to the mailbox in the iOS Mail application. 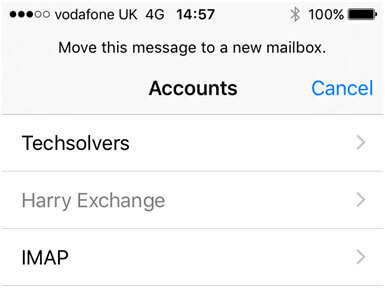 In the screen shot below, the account “IMAP” goes to the exact same place as “Harry Exchange”, the difference being that we can now move emails from the TechSolvers Exchange account into the IMAP account. This means that he can now travel with just an iPad (no laptop), and still work in the way that he likes. When I started my career in IT as a Jnr Engineer working for Anglo American in their office at Carlton House Terrace in London, I must admit I never would have expected to end up as the joint owner and director of TechSolvers. I thought at the time that my focus would always be 100% technical. However now 20 years later, while I still love getting my hands dirty with a tricky support issue, or planning a project, I find I very much enjoy all of the other “non techie” challenges and opportunities that TechSolvers has given me. If I look back now, as well as the highs of fixing those tricky technical issues, some of the best days have been when I have been given the opportunity to do things I would otherwise not have done. Setting up new offices in Bangalore, India was one experience I’ll never forget. Thankfully not for the deli belly, but for the culture and the people I got to meet and work with. Experiences that would stand me in good stead for later when working closely with off shore colleagues. Visiting the Houses of Parliament in Central London was another. 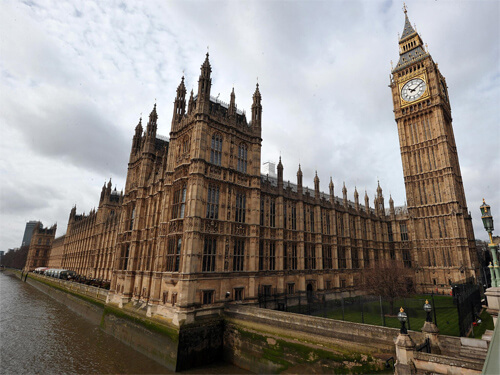 Well when I say visiting, I mean a private tour with a member of the house of Lords, who wanted me to assist with translating the words of their own IT Department into a “non techie” language that she would understand. Entering Parliament itself through the Peers Lobby was a great experience. The tour, followed by a cup of tea in the Peers Bar pretty much made the rest of the day a London day out that I won’t forget in a while. I also got to head to Kensington, to visit the High Commission of the Republic of Zambia. I won’t bore my readers with exactly why I was there, but it was one of the days in which I realized that being a director was giving me experiences that as a techie I could never have expected. I’ve seen some good London views too, and I don’t just mean the London Eye, as impressive as that is. The view from the top of One Canada Square in Canary Wharf is quite amazing. The only problem that day was having to deal with vertigo while sitting in a glass walled meeting room! As well as that high-altitude experience, I’ve also been lucky enough to view the subterranean diamond vaults and art galleries at 17 Charterhouse Street, London EC1N 6RA, under armed guard I have to add! So I guess I can say that IT has lead me to both high and lows. Of course there have been many less exciting days, but when I look back the above experiences do stand out and I look forward to more unexpected days out in London. 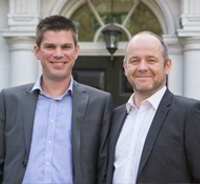 If you do need any help or advice about getting the IT in your London based business supported, please give us a call on 01923 537247, and I or one of my colleagues would be more than happy to assist. These patches all relate to a potential remote attack against a device to exploit a service, and take control over the PC. Some of these patches are historic (such as KB4012598), although they have been included in the pack as these relate to vulnerabilities that were recently disclosed to the public (mainly from the NSA exploit breach). 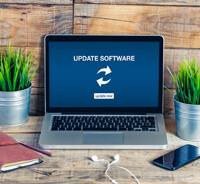 Microsoft have also stated that administrators will want to manually install these updates, as they may not be received via the automated windows update service. Due to this, the patches pack will need to be downloaded from Microsoft’s website and manually applied to all affected devices. As shown, the main OS versions which are vulnerable range between Windows XP to Windows Server 2008 and 2008 R2. These are older devices, but there are still a lot of organisations who have not upgraded their computers to higher versions of Windows OS. As older OS versions are common, it means that it is extremely important that these patches are applied to the devices. If any device is running a version of these software’s, then it is vitally important to get the MS17-013 patch installed, as these programs are vulnerable to remote code execution. Overall, these 4 patches should be immediately pushed out to all vulnerable devices to deter any remote attacks. They should be manually installed on each device, followed by a reboot to ensure the machine is properly protected. Basically, it’s because for the 2nd month in a row Microsoft have released patches for Operating Systems that are out of support. Why would they do this again? Well it’s my gut feeling that MS are aware that due to the NSA leaks these vulnerabilities will be targeted by Malware in the coming weeks and months. What do they know that we don’t? That’s not a question we can answer, but what we can say is that if you are running XP or Server 2003 then getting these patches manually installed is vital. The next attack will come, and thankfully this time (unlike Wannacry) people will have had the chance to patch their legacy OS’s before the attacks start. Let’s just hope they do! If you do need any help or advice, please give us a call on 01923 537247, and I or one of my colleagues would be more than happy to assist. Written by Fergus Martin, 1st line team leader. One of the worst things that can happen to a company is a malicious attack on its data. Since the WannaCrypt Ransomware attack, I have been interested in how malware and ransomware attacks a system or network, and what can be done to prevent such attacks. When WannaCrypt struck, it was due to a flaw with windows SMB v1, but in the end the ransomware was deactivated due to a domain killswitch. Now, there is another ransomware attack occurring across Europe named ‘Petya’, but this version of ransomware doesn’t include a domain killswitch (that we know of). Instead, a ‘vaccination’ has been discovered to attempt to prevent the ransomware from encrypting data. The ‘vaccination’ is simply a file within the ‘C:\Windows’ directory which the ransomware checks to see if it exists before executing its attack. The file is ‘C:\Windows\Perfc.dat’ which if it already exists and is set to read-only when the ransomware is launched, has shown to stop the encryption. This file alongside the MS17-010 (KB4013389) patch for SMB provide a form of prevention if the ransomware is launched on the device. To protect our clients, I have written a small batch script to create the ‘Perfc.dat’ file in the windows directory and set its file attributes to read only. We then deployed this to all windows devices within our management system. We also run regular patch checks and updates to ensure all devices are actively protected from the attack vectors. If you are hit by the Petya ransomware, you should not pay the ransom, as the email used to contact the host has been seized and closed. This means that even if you pay, there would be no method of contacting the host and getting the decryption key. 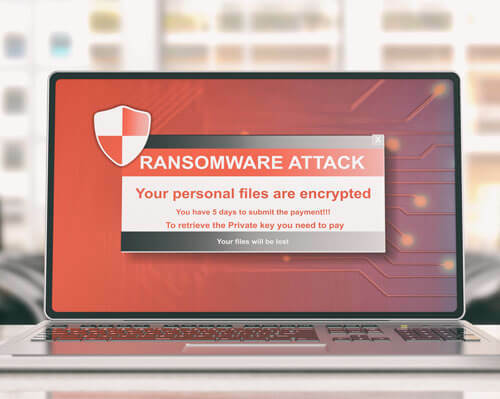 Other effected users have stated that if the ransomware is launched on a device, it will wait for approximately 1 hour before rebooting the device and then starting the encryption process. This is disguised as a ‘CHKDSK’ process, however it will only land on the ransom page if left to complete. It is possible to prevent most of the files from being encrypted if the machine is powered off immediately after the reboot once the ‘CHKDSK’ screen is displayed. An external machine/caddy can then be used to recover the files from the disk. Ultimately, the best protection from ransomware are backups, more so remote/cloud backups, so that any network attacking malware is unable to find the backup files. Be sure to keep all data that is important backed up in case of these attacks, and new attacks to come. What is WannaCry, and why it didn’t make us shed a tear? On Friday the 12th May 2017, the WannaCry ransomware attack started. A worldwide cyberattack which targeted computers running Microsoft Windows operating systems by encrypting data and demanding ransom payments in Bitcoin. Ransomware Trojans have been around for a while now and I can’t deny that they have given me sleepless nights. A virus that can bypass most antivirus filters and encrypt a company’s data. When you run a managed service support company that doesn’t charge for clean-up work if a client gets infected, it means that if we slip up and it gets in, it’s us who will be running around trying to recover the situation (whilst trying not to lose the client!). Then again that is exactly why clients hire us. We look after their security patching, their Anti-Virus and their security, so our clients expect us to make sure these things are up to date and secure. If we get it wrong it’s only fair it becomes our issue, not the clients. Historically though, ransomware is spread slowly by malicious emails. 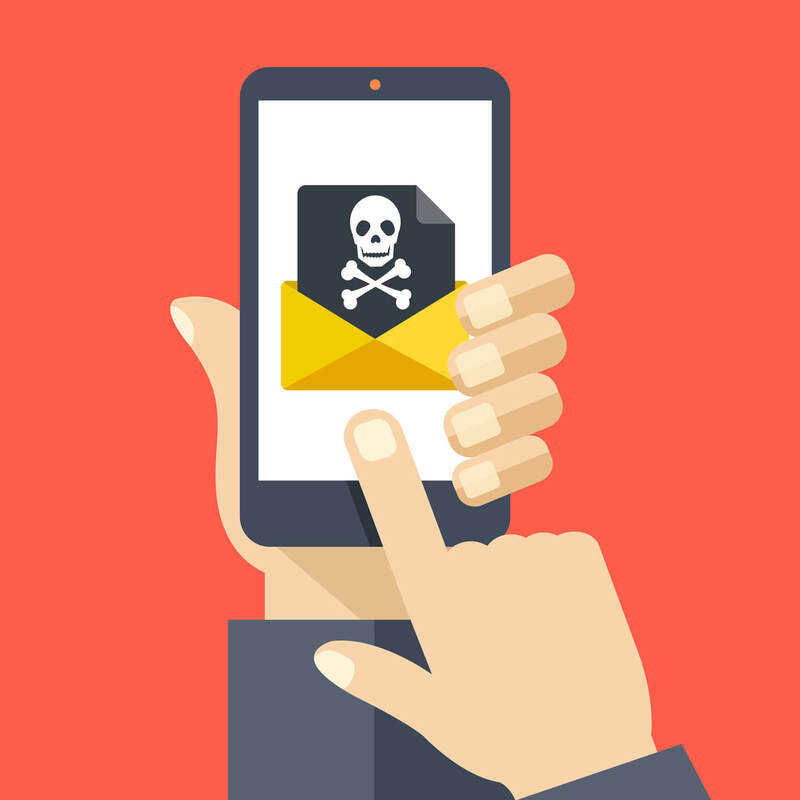 It is able to bypass security software because it’s the user who opens the email attachment, and so the user inadvertently gives it permission to start encrypting. As the user has granted permission it is not picked up as a virus. I won’t go into exactly why WannaCry was different, but rest assured it was. At its simplest form, WannaCry spread by using a vulnerability in Windows Operating Systems, rather than via email. Any machine that had this vulnerability could be infected and there were many vulnerable devices, especially at the NHS! By Saturday morning we were seeing the full impact, it was front page on BBC News. Friends and ex colleagues were desperately patching their systems trying to fix the vulnerability before they got attacked. But let’s step back. WannaCry spreads due to this vulnerability, not due to users clicking on attachments. Our clients pay us to make sure their machines are patched, and the patch for this vulnerability had been released 2 months ago! So what were TechSolvers doing on this disastrous weekend? Simple answer was not panicking. Our systems had already applied the patches, yes we double and triple checked, but the systems we look after were secure and patched, our clients were safe. However, even companies who thought they were up to date with patching may have still had a problem. For years, we have all known that XP should no longer be used. Microsoft neither patch or support it anymore, so if we had have been supporting XP machines, they would have been vulnerable like any other unpatched machine. Thankfully we had been advising our clients for a long time to get rid of XP, and while some initially objected, after explaining that replacing XP was essential for security they eventually all followed our advice. So with no XP machines and everything else patched, TechSolvers clients were safe from Wannacry. Then on Sunday it stopped, a kill switch was found and the virus was disabled around the world in one easy move. Many companies are still patching this vulnerability, as while its stopped for now its highly likely that WannaCry, or a variant of it (with no kill switch) will be back. So the simplest lesson to learn from this is that systems must be patched, and that if you are running Operating Systems that are out of support (and can’t be patched) it is time to replace them. Do that and Wannacry won’t make you shed a tear. Even if your company doesn’t need TechSolvers to provide support, we do provide a service called Cloud Secure. This service is simple. It means managed security patching, managed Anti-Virus and managed Web Filtering for all of your devices. If you have concerns about security but are happy with your IT Support then this is a service worth considering. Note: Before I get called out; Yes, Microsoft did release a patch for XP, but this was only on the Saturday. They didn’t have to, but due to the scale of the attack, they did. If you think this means that XP is safe, it is not. It left a gap from Friday to Saturday when every XP machine in the world was vulnerable, and if Microsoft hadn’t released a patch (they had previously said they would never patch XP again) then the situation would have been far worse! Phil and I started TechSolvers 8 years ago. Two engineers determined to create the company we wanted to work for, to do the work we wanted to do, and to provide our customers world class customer service. It's been a journey, and an adventure and as individuals we have grown and learnt from the new roles we have taken. Each year has seen developments, whether it's been learning to run a company by the management accounts (rather than only judging success by happy clients), or when we realised that as much as we hate it, sales is a critical part of any business that can’t be ignored. Not to mention having to learn HR laws and regulations. What can we say, a steep learning curve at times. But it's days like today that make it all worth it. 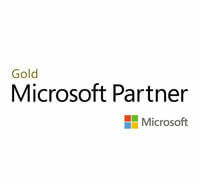 Being primarily a Microsoft house our partner status with MS has always been important, however we always thought for a business the size of ours to gain Gold Partner status would be just out of our reach. However now with our full team, trained & certified, and our cloud business consistently growing the jump from Silver to Gold almost happened over night. To be honest without us even realising we had met the requirements. The recognition from Microsoft of all our hard work. 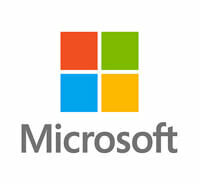 Better support from Microsoft for us, premium MS Support access that we can use for our clients. The ability to show our existing and prospective clients, that we are focused and delivering. An invigorated support team, thriving on knowing they are doing a great job and being recognized for it. But what does it mean to Phil and I, personally. It means 8 years ago we made the right call, we could be more than just 2 engineers. We could provide service, successfully complete projects, manage a company, employ staff and watch them grown and implement our apprenticeship scheme to help youngsters get into the career we love. Most importantly though we come to work each day with a smile on our faces knowing we love the challenges and opportunities ahead. We never would have expected to have done so well considering how much we had to learn. Why use IT managed services for your company? Simply because it will be cheaper and more cost effective in the long term for your business. Not only that but it will ensure that your IT systems are looked after by a team of professionals who do this day in and day out. Still not sure if IT managed services are right for you? Let's take a look at an example company. This company is based in London and has one physical server running a Windows Server Operating System, 25 machines (some desktops, some laptops), 3 printers, as well as various mobile devices and Office 365 being utilised for Exchange and SharePoint. So, what does this company need to provide efficient and effective IT management for its systems and staff? Round the clock monitoring and alerts, a single point of contact for all IT issues, vendor management, on-site hardware support, system administration (password resets, user account creation etc), change management, reporting and root cause analysis, research into new technologies that are relevant to what the company does, Service Level Agreements, software and application support, backups, Printer Admin, Network Management, Server Management, Desktop Support, remote access, regular incident analysis, discounted hardware and software? The list goes on. To be able to provide all of that, what can this London based company do? Maybe they could employ someone that has a basic IT knowledge to help out with any problems? The new employee may be great at fixing computers at home, but having the experience and knowledge of IT in business is very different, and will not provide the company with many of the above requirements. It could also cost a lot in wasted time, if the new employee is attempting to fix a problem without the full knowledge it will end up taking them a long time and will take them away from their assigned tasks and projects, and they may end up not even being able to fix it. Effectively, you would be paying for a lot of wasted time and for a non-IT professional to do the job of a professional. So, what other options are available? The next setp up from this is to employee an IT Professional, or maybe even a team? On average a company is likely to need one IT employee per 40 members of staff, so if you're running a large company you could end up needing more than one IT professional. However our example company only has 25 machines to look after, so one person should do, right? Well he/she is going to be busy trying to cover desktop support, helpdesk, network support, R&D, root cause analysis etc and that's when they're not off ill, on holiday, or needs to be looking at two incidents at the same time. They'll also need to be well trained in desktop, server and network support, not forgetting the customer facing skills. As they haven't got any backup they'll also need to be a senior technician, able to work on their own. An approximate salary of an IT Support Professional is between £40-£50k, as well as benefits, training and holiday cover. Maybe there's a more cost-effective alternative? Use a London based IT Company. When you have a problem pay them by the hour to come in to your office and fix it. The benefit of using an IT company is that you'll only pay when a problem arises, so you may go months without paying a penny. But when a problem occurs do you think the IT company will just fix the issue or spend time to fix the root cause of the problem so that it never happens again? Are they preventing problems before they occur? NO! When the problems start to affect the running of your business and your IT systems start to degrade you'll probably have to pay for a quick fix. But not only are you paying the engineer that comes out to your office but you are also losing money as your employees can't function at full capacity when their systems aren't working. In fact you could be paying twice as much when you have a problem. Plus for all the money you are paying out you're only getting problem fixing support. What about all the things we mentioned that make up effective IT management support? It's impossible to plan for what may or may not go wrong and therefore to budget accordingly. The Solution - Use an IT Managed Services Company. Round the clock monitoring and alerts, a single point of contact for all IT issues, vendor management, on-site hardware support, system administration (password resets, user account creation etc), change management, reporting and root cause analysis, research into new technologies that are relevant to what the company does, Service Level Agreements, software and application support, backups, Printer Admin, Network Management, Server Management, Desktop Support, remote access, regular incident analysis, discounted hardware and software. So how do IT Managed Services give you so much more than the other options, while still costing less? They are designed to be the IT department for multiple companies, and structured to do so effectively. With the right tools, processes, experience and software, IT support costs are reduced due to increased levels of efficiency. IT Managed Services companies are set-up to monitor IT systems and work by fixing issues as soon as they arise, which in many cases is even before the client has noticed. 24/7 alerting means that as soon as an issue arises the Managed Service company is aware and the problem can be resolved before it impacts your business. It also means that the issue is fixed faster, as the engineer has direct access to your systems 24 hours a day. They don't even need to come in, all of the work can be done remotely. They just connect to the problem device, resolve the issue and move on to the next incident. An IT Managed Services company will also only employ professionals that are well versed in dealing with different IT systems and have all of the skills required. This will mean that all of your problems will be dealt with quickly, and you can be sure that a experienced professional is on the case and has the expertise to fix the issue correctly. In most cases they will also help you with strategy. This is done by monitoring and analysing the information they get from alerting systems, and the incidents raised by the users. Using this information IT managed services companies work with their clients to reduce the number of incidents raised. This saves your company, and theirs, time and money. Of course having an IT Managed Services company on your side does not mean everything is included. If you have development work, or other new requirements then additional charges may apply, though your support budget should be fixed. There were many reasons that Tom and I decided to found TechSolvers together, but probably the main one was that we wanted to engage with the customers more. From our experience we had found that a lot of IT companies used faceless engineers in data centres, or architects stuck behind a desk, who rarely got to connect with their customers. This was not what we wanted to be, and not what we thought the customers deserved. 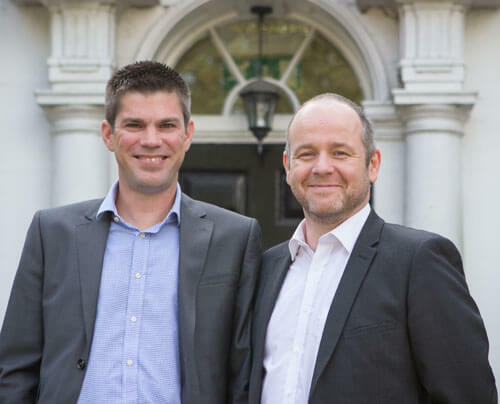 From the get go we made sure that customer service was at the core of TechSolvers, and have worked very hard to make sure that every team member is trained to liaise with our customers, and offer the personal service that Tom and I are so passionate about. This ethos and business plan has worked extremely well for us, and we couldn't be more proud of how TechSolvers has grown and developed over the years. However, Tom and I were talking about just this the other day, and realised that as we have grown we have moved away from that core aim. As business owners our time is used in many ways, but that doesn’t really include being on at the sharp end, taking customer support calls. Yet, it's taking those initial calls (as well as the 3rd line ones) that lets us truly understand when our customers are happy, and when they are maybe not so. By taking these calls we could identify areas in which we're excelling and where perhaps we could do with improving - making our business better all round! So, it’s time to go back to the floor, and work from the ground up how we can better improve our customer service at every level of the company. Over the next few weeks Tom and I will be spending time, working as both 1st line and 2nd line engineers. By assisting the team on how they could better do their jobs. We started by doing these roles so we can lead & teach by example. By getting more involved we hope to learn and understand any issues our teams may have with their roles, and look at ways of fixing them. By getting to speak direct to customers, and to people that we may not normally speak to, we'll be able to gain a better understanding of our customer's needs and requirements. In the long-term we hope that by doing this will allow us to react better to the customers’ requests, and build lasting relationships with key staff members across all of our clients organisations. Being on the phone ourselves will allow us to directly ask the questions like 'are you happy with our service, is there anything we have done where you think we can improve?'. Because it's conversations like this that make our clients realise that we really do care about their experience of using TechSolvers, it starts a conversation, and allows us as a company to better support our client’s needs. Plus Tom and I get to go back to what we love, talking to clients and fixing their issues, after all that's how we both started in IT in the first place. So if you're a current or prospective client, we very much hope that we get to speak to you in person! 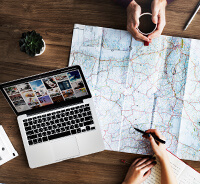 We've mentioned several benefits of using cloud computing for business before (see our very informative blog here) but we thought we'd put together some of our top reasons for going remote, and how cloud computing will benefit your day to day life. With cloud computing you can set up your office anywhere, and you'll still be able to access all of your programmes, files, emails and data. Obsessive pet lovers rejoice! 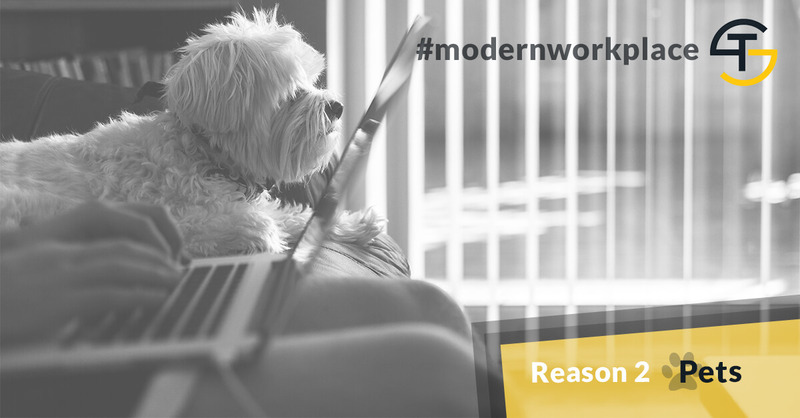 You can stay at home with your pet all day long and still be able to access your work PC from home. Taking a day working from home, or working out of the office can help to reduce stress and clear your mind. You'll also have the benefit of extra stress relief knowing that by using cloud computing all of your data is backed up and secure on the cloud. 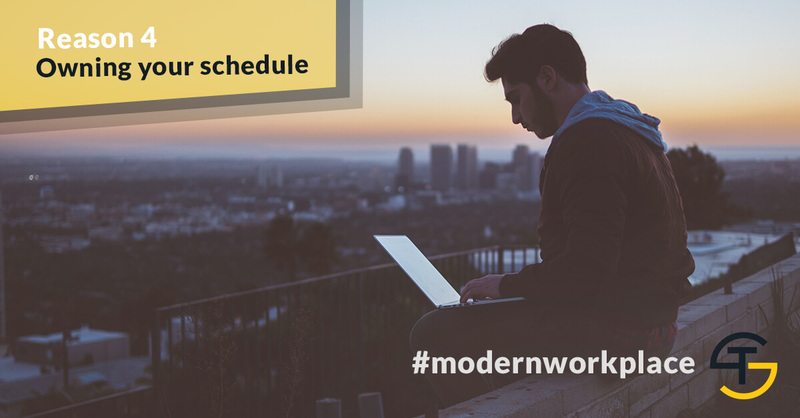 Not only can you work from anywhere, but you can work at any time too. Cloud computing is ideal for flexible working and will allow you, and your employees, to fit in work around your busy schedules. Shuffling documents (or presentations, videos, etc.) back and forth undermines productivity, instead collaborate online with all of your colleagues and never worry about forgetting the important documents for a meeting. If your computer is ever destroyed, all your data will be safe in the cloud. Access from any internet connected device... well within reason! With most serious cloud services offering mobile apps, you’re not restricted by which device you’ve got to hand. Start small, grow big. With the Cloud, you only pay for what you use. So you've got plenty of time to turn your small start up in to a enterprising blue-chip company, the cloud can scale with you. Start small, and work your way up! All of the servers and network device resources can be increased easily and without disrupting services. This also works in reverse and will save you a lot of money as you'll be able to choose all of the services and resources you need, and will cut out the cost of investing in a server, all the hardware, and the work required to implement it. 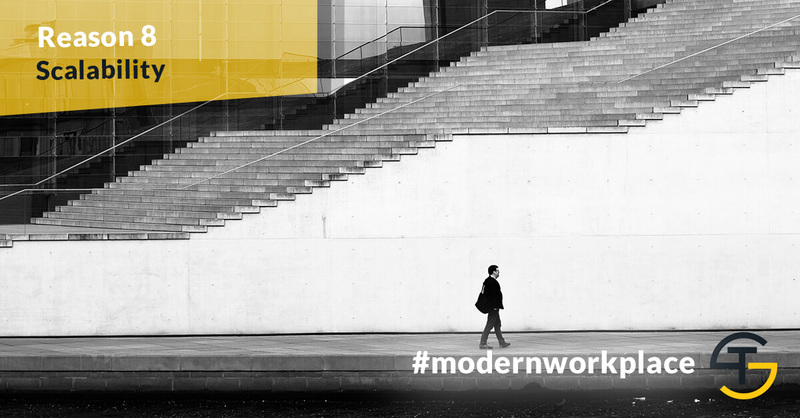 Join in the conversation on Twitter using #ModernWorkplace, and let us know why you think Cloud Computing is amazing, and how it helps your business! I am constantly asked why our website address is itsupportlondon.org.uk and not techsolvers.co.uk, and in fact there are many reasons why we decided to make the change. For a long time we did use techsolvers.co.uk, it helped us to showcase our company name, build our brand and start to rank well on Google. It's also the logical choice for customers to type in when they're trying to find us. But, it had its limitations and wasn't allowing us to rank particularly high on Google for some of our key services. 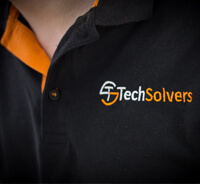 One of our main services at TechSolvers is IT Support, and in particular IT Support in London. However we knew this would be an extremely competitive key phrase to rank well on Google for, so we thought why not outsmart our competition and get our top key phrase in to our website address and give our SEO (search engine optimisation) campaign a boost. Ergo, itsupportlondon.org.uk was born! We didn’t want to lose all the backlinks to TechSolvers though, so we put a 404 redirect on techsolvers.co.uk to itsupportlondon so that it directs through automatically. Doing this meant Google knew to keep the reputation of TechSolvers and apply that to the new domain name, therefore even further supporting our SEO campaign. Google is extremely clever and is very careful and considerate with how it ranks websites for their chosen search terms, and it can be very hard to climb your way up. Essentially the more you can mention your key words and phrases,i.e. IT Support London, the more likely you are to rank highly. It even has an algorithm that can work out how well the text including the keyword or phrase is written to make sure that it is easily readable and makes sense - gone are the days of keyword stuffing! It's always much better to talk about your key words and services on specific page on your website, or on a blog post. See what we've done here? 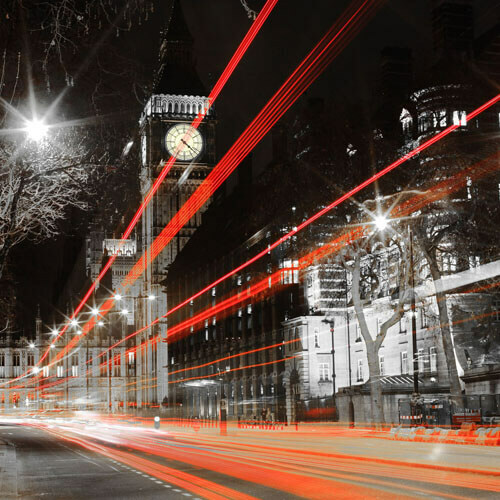 By explaining why we have London in our domain name, we have further helped our SEO campaign to rank well (and beat our competitors) for that very key phrase. Giving you helpful advice, whilst also helping our selves - way to go! 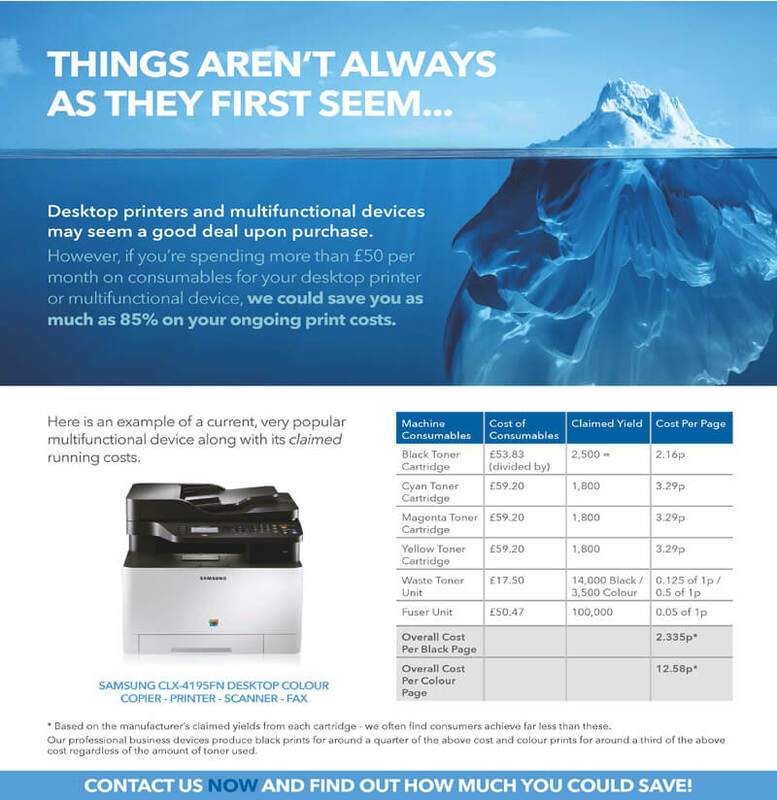 Want to start saving money on your printer costs? All business are continually trying to find new ways of saving money. Some sacrifice the quality of a product or service to ensure that their companies are improving their margins, whilst others would look to staff or equipment cuts. Yet we have found a money saver that we can assure provides the same quality, but at a much cheaper rate. How is this done you ask? By changing your printing methods! Recently we were made aware of a company who were paying out over £700 per month on consumables for their printer. However they were quickly able to reduce that to just £100 per month, simply by outsourcing and using alternative devices! Once they had looked over their finances for the first quarter they realised that they are now saving over 85% on their monthly outgoings! - Amazing right?! With this cost per page managed service, you are not only saving huge amounts of money each month but support issues are easier to resolve too. You are provided with continual free support, making it much easier if any problem were to arise. 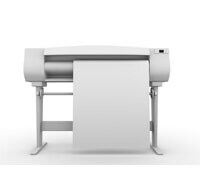 Not only this, but you no longer have to order the consumables for the printer. The support provider will order it in for you when supplies are running low, leaving you more time do all of the important stuff whilst at work. Less stress and less money, it really is a win win solution for your printing needs. Still skeptical? Well, many companies don’t believe that they’re paying a cost per print with their printer, when in actual fact they are. If a black toner cartridge costs you £ 100 and you get 5,000 prints from it then it’s costing 2p per print. In general the higher the average toner content of a print the higher the cost to print is. View the graphic below to see the breakdown of prices. By using a cost per page managed service your company will only be paying for the paper you are using, rather than the further costs that come along with owning your own printer. Not only this, but your support and maintenance is looked after by your provider, making it a time and cost effective method, and elevating plenty of unwanted stress! As many people know, there's not many things better than enjoying a good cup of coffee in a nice, and cosy coffee shop. There are however hundreds of coffee shops to choose from, so how do you pick the right one? Well if you're anything like us, avid users of Office 365 so that you can escape the office (click here to see our previous blog post), then a good coffee shop will be judged on it's fast, free and easy to connect to WiFi. 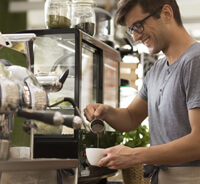 This is not only great for customers, but a recent study has suggested that small retail businesses are also seeing a much higher return from offering complimentary WiFi to their customers. With this in mind, TechSolvers are always on hand to help any retail or business establishment improve their internet connection and speed. 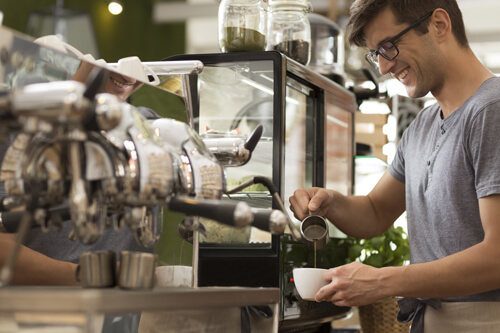 Just recently we have completed a network improvement project for a client of ours who has multiple coffee shop establishments across London. 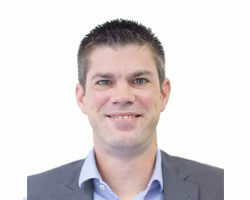 Their aim was to improve the internet connection in their stores, which was a challenge in itself as each store, due to location, was limited to basic ADSL internet services. As we've previously discussed, however, the internet is now an essential service, and if customers cannot get a good connection (while they drink their coffees) they will soon find another shop for their next caffeine hit. Whilst completing this upgrade the chain also had secondary aims such as improving support responsiveness, simplifying PCI/DSS security, trackling footfall in the shops, and potentially changing the authentication method for customers from a standard password, to having them like the clients Facebook page before being allowed full internet access. We knew this was going to be a challenge, so we needed to find a way to make the best use of out of the services that were available. We achieved this by rolling out Cisco Meraki Firewalls and Access Points. The previous network design used across the storess was that each store has 2 ADSL lines, with Firewalls configured in such a way that the second line was only ever used if the primary line had a fault i.e. the second line was for redundency. By using the new cloud managed Meraki firewalls and access points, we configured the 2 ADSL lines, so that one was dedicated to customer WIFI, and the second for business traffic. In affect this resulted in a doubling of the available bandwidth, as now both lines are always in use, with the traffic split over them. The new access points allowed us to install a rock steady customer Wi-Fi, which also allowed Facebook authentication and enabled the owners to track the foot fall in and around the shop. Both of the new devices are 100% Cloud managed, giving the support team here a birds eye view of the various networks. Any fault in the system is immediately and automatically logged as a ticket in our system so that we can swiftly and efficiently deal with the issue. It also help us to stay ahead of the customer, and saves them the time of ringing to alert us of a problem. Finally, the Meraki devices have modules to simplify the process of making sure the networks were PCI/DSS compliant. All in all the project was a great success, and with the new devices the client is extremely happy! Their customers now get a far better experience when using the Wi-Fi, plus any issues get picked up and resolved faster than ever. A win win, and great proof that coffee and speedy internet go perfectly hand-in-hand. Did you know our staff are not only IT experts, but also have expertise in many other fields, hobbies, industries and interests? Take one of our engineers Mahmoud for example, he flies Quadcopter Drones, or one of our Junior Engineers, Dylan, who used to be a professional Parkour athlete, or our Senior Engineer, Jason, who used to represent Team GB in Kayaking! 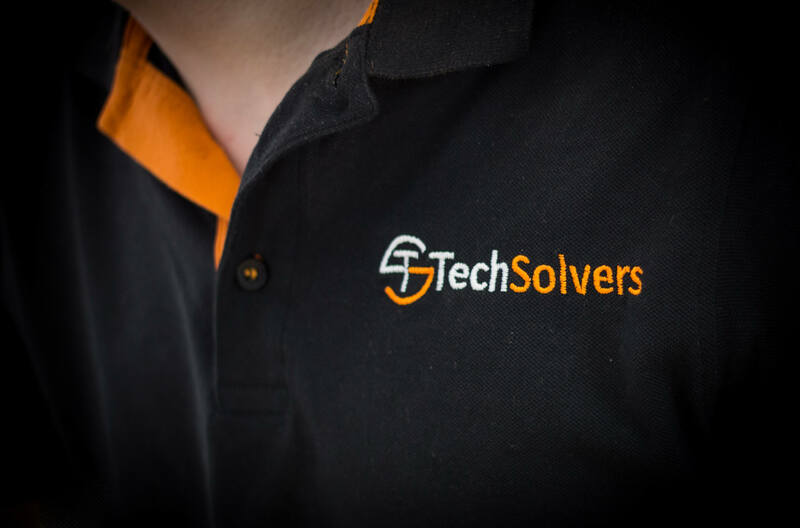 It’s amazing to have such a mix of talents and skills across the workforce and here at TechSolvers we really embrace any out-of-the-box thinking or contributions from the team. We’d like in particular to highlight the efforts that our engineer, Billy, recently put in to designing our new staff t-shirts and to help improve our office productivity with a new dashboard. We cannot thank him enough and are thrilled to have someone so multi-talented within our team. Over the last year we have put a lot of time and effort into improving our branding and website, so quickly found ourselves in need of new uniforms to reflect this. Billy was very quick to offer his services, as he previously had a lot of experience designing and producing clothing for events he organises outside of work, and we were very quick to accept. Having Billy design them would obviously save us from having to outsource the work but would also enable us to have someone who knew the company well to design something we knew we would love. 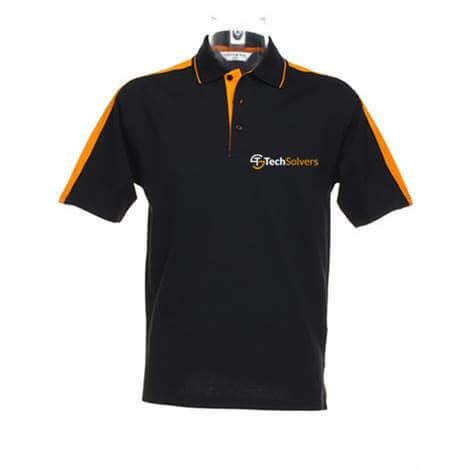 When speaking about his design process Billy said “I chose a simple design for the new TechSolvers polo shirts, using the new wording and altering the logo colours slightly so that it popped nicely on a black background. 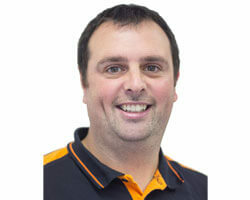 I also found a nice polo shirt from my supplier which had the orange accents that complimented the logo really well”. He also added that “It’s much nicer for the staff to have something comfortable to wear not only to the office, but especially when going out to client sites. A nice branded uniform always looks far more professional to the customer”. We couldn’t be more pleased with the new uniforms, they really help to accentuate our new branding and look very professional. 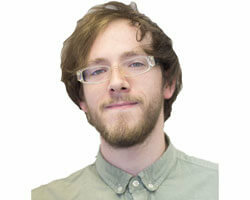 Billy’s talents don’t stop at design though; he is also an esteemed problem solver and developer. At TechSolvers we always aim to be as responsive and reactive to any client issues that may arise, but Billy was able to devise a system that would help us to constantly be a step ahead. When asked about his new solution he said “the Dashboard that I’ve built stemmed from an initial thought that it would be much nicer to be able to call a client as soon as their internet goes down, rather than waiting for them to call us to enquire about it. I devised a plan to put together a system that was simple yet effective, and that I would be able to achieve with my skill set. It was relatively easy to create a nice display which listed all of our clients and their current internet status, with an alarm that sounded every time our connection with the client was lost”. Everyone quickly found the new dashboard a lifesaver, not only our staff who found it saved them time, but also our customers who were amazed how fast we were able to react to their problems. With the dashboard now in place, more possibilities were suggested. Billy then implemented a similar system which is able to monitor ~60 chain stores nationwide for one of our larger clients, without taking up too much room on the dashboard or impacting the system too much. A few of the team here then asked if it would be possible to have an element of the dashboard monitor our phone system, to display who is currently on a call and who is available. This would help us save time performing attended transfers to see if someone is available or not, which in turn would reduce the amount of time our customers are kept on hold. Speaking about this new feature Billy said “There are many expensive dashboard solutions that you can buy to tie in with IP phone systems, but I was able to achieve it myself by using some very simple PHP code, and in turn helped to save the company some money”. The dashboard has quickly become a vital part of TechSolvers and greatly helps us to stay a step ahead of competitors and offer a high quality service. There’s always a bit of room on the dashboard for something fun though, most recently it featured a countdown to the next Star Wars film. Which we see as vital information to have when you work in an office full of sci-fi fans! Big thanks to Billy, for all your support and innovative thinking. At TechSolvers we’ve always been advocates of promoting female employment in the IT industry. Both the Technology and IT industries have always been very male-dominated. We feel this shouldn’t be the case, and are pleased when we get a chance to help change the balance. Over the last few years, computing has become more prevalent in all aspects of our lives, and as the possibilities and complexity of technology grows, more and more young people are becoming interested in the IT industry, and how they can get involved. To help support them in their learning the government offers support to small businesses to help them run apprenticeship schemes. From this, we have seen a great rise in IT & Technology apprenticeships, and more excitingly an increase in women taking on IT apprenticeships. 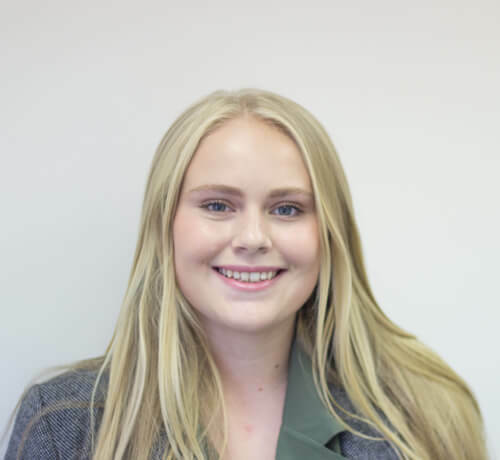 When sixteen year old Freya contacted us to ask if she could start an apprenticeship with us, we were delighted, and couldn’t wait for her to join the team! Since starting with us in early October, Freya has really taken it upon herself to get involved with the team and learn as much as she can. When asked about her new role at TechSolvers she answered, “I really like working at TechSolvers as I get to learn new things every day. The team are so nice and easy to get along with. They're all down to earth people and I love working with them. They are always helping me when I need it, and making sure I progress as much as I can in the career I have chosen”. It’s so refreshing to see how determined Freya is to forge a career in IT, and TechSolvers are here to support her all the way. We’re so excited to see what the future holds for women in the IT industry, and can’t wait to be a part of all the success stories. One story that recently inspired us to boost our own apprenticeship scheme was the first ever female winner of the Microsoft Apprentice of the Year competition. It was such a great achievement not only for Tanya Stittle herself, but to all young women who are considering a career in IT. When speaking about the award, Tanya said "This is such a surprise – I can’t believe it. I’m so proud to be the first female Apprentice of the Year. We need to get the word out to more girls, because generally a lot of women feel that IT is more of a male thing, but if they knew it could be the start of a successful career then they’d definitely want to." You can read more about her win here. 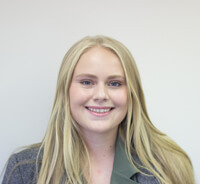 We’d like to wish Freya all the best success in her time here at TechSolvers, and encourage all young women to explore and develop their IT skills just like she has. Please contact us if you would like to discuss the opportunity of an apprenticeship at TechSolvers. As a business owner imagine a world where you can work from any location at the drop of a hat. Files are traditionally stuck at the office or on your computer at home, but the flexibility of the cloud has opened up a world of business opportunities, packaged perfectly as Office 365. During the summer holidays most business owners are reluctant to be cut off from their business but with office 365 this means you have the freedom to work from any location and yet still remain in contact with co-workers, due to Hosted Exchange Email and cloud hosted document libraries in SharePoint. Any destination becomes the office, whether it’s a tropical location or simply an annual holiday trip to your favourite spot in Cornwell. 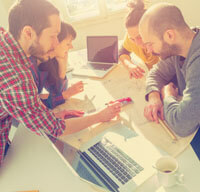 Now people who work from coffee shops, hotels, airports and trains can still stay connected. 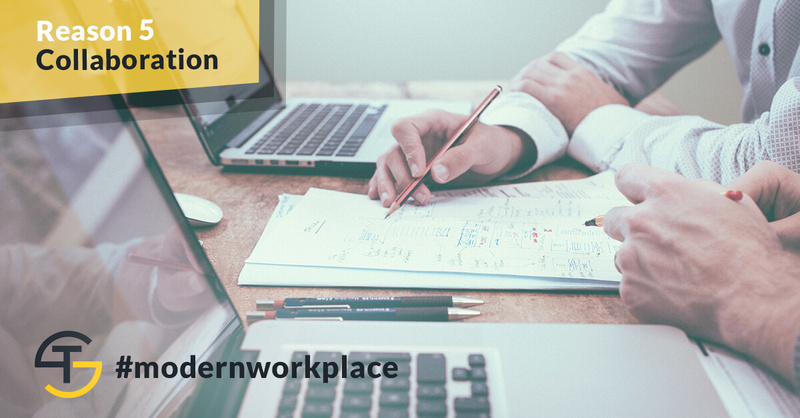 Remote workers such as frequent travellers, freelancers or contractors with clients in multiple locations can communicate more efficiently. 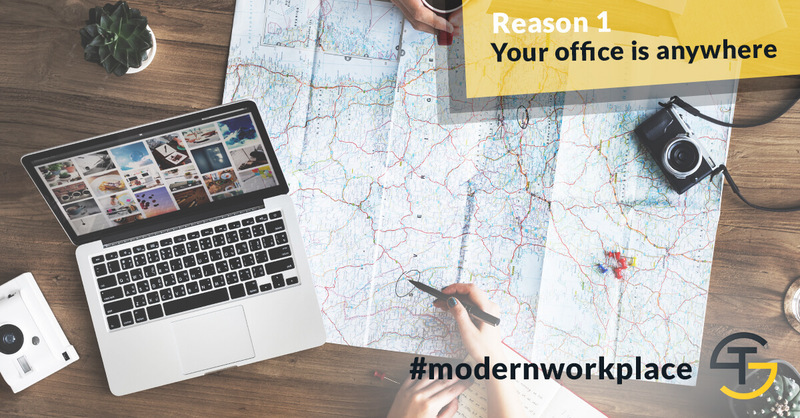 The cloud has revolutionised how we work and remote working is no longer simply classified as ‘working from home.’ With the help of Office 365, remote workers are now frequent travellers, sharing and syncing documents from any location, no matter where or when they are working. Office 365 was developed to meet the demand of remote working, enabling teams and customers to connect and be managed efficiently. 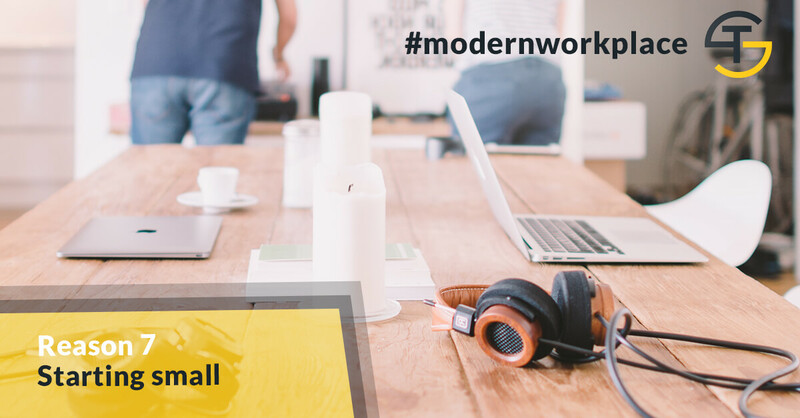 Make no mistake, remote workers are still working and can be even more productive out of the office. Whilst working remotely, you can catch up with team calendars and see when colleagues are online. Collaborating is made even easier with instant message or face-to-face with video conferencing. Teams are even able to work on the same document together in real-time. 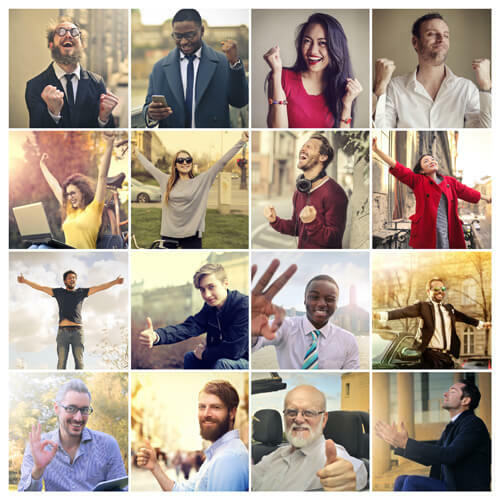 Office 365 comes with all apps that we know; you've got Word, Excel, Powerpoint, Outlook and the rest of the Office favourites, all connected by cloud driven features like co-authoring and video conferencing, automatic updates and uptime guarantee. And best of all employees and business owners are gaining flexibility and work-life balance. Companies are seeing spikes in productivity and creativity. And everyone seems to be benefiting. 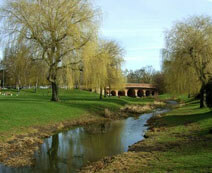 Whenever we get asked were our office is the response is London Colney, but often that’s not what people actually hear. 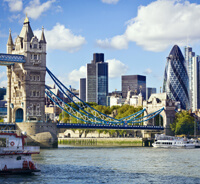 Many people seem to switch off after the word “London”, leading occasionally to clients being confused. Then when we explain that London Colney is in Hertfordshire, near St Albans and Watford, they ask why and how we service our clients that are in London? It’s simple really, pick up a map and you can see why we are based out in the sticks. Based where we are we have easy access to both the M25 and the M1, combine that with very fast (15 mins) train services from both St Albans and Watford mainline stations to London, and it turns out London Colney really is the place to be. It’s this location that gives us the coverage we need. 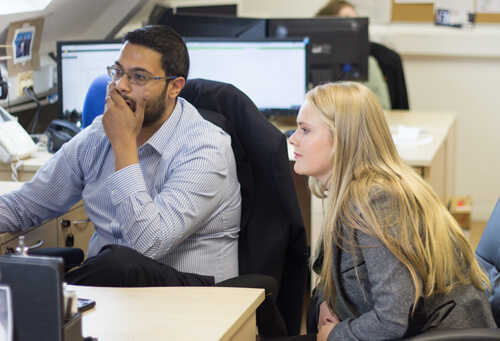 We can provide IT support to clients in Hertfordshire, we can, within an hour, get to sites in Milton Keynes, or go south of the M25, to locations like Weybridge, & via the train IT Support can be provided to clients in both central and North London. 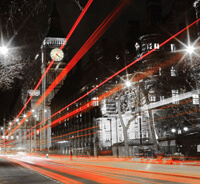 So that why we picked London Colney, it puts us in a location that allows us to provide our IT Support services across Hertfordshire & London. 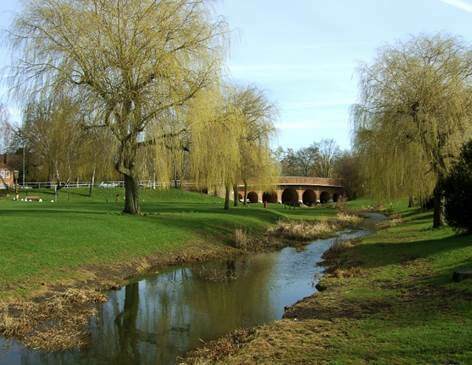 Combine that with the fact we are able to resolve well over 90% of faults remotely, and you can hopefully see why London Colney, Hertfordshire makes sense. Oh, and did I mention the cost of office space in central London vs Hertfordshire..
Plus we get views like this..
OpenDNS is a company that we here at TechSolvers love. Their service is an important layer in our clients’ defense against the harmful side of the internet. Why do we love it? It’s simple to use, quick to setup, doesn't make protected machines slow down, but most of all helps us to reduce issues at our client sites. How? There are many pages on the internet that would explain how OpenDNS works, but as a simple answer it blocks users from being able to access the web pages we don't want them to access. 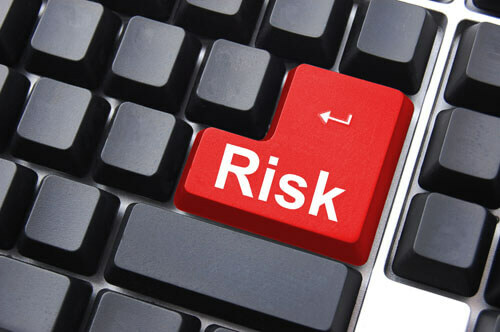 Sites that spread malware, sites that try to steal your personal details & sites that control botnets. It can also block just about any web site you want, based on what you want your users to access. 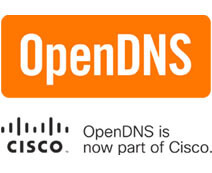 Internet Security is made easier by preventing infections, OpenDNS does just that. As you can probably tell it's very different than anti-virus software. That deals with infections after they get onto your network and anti-virus applications slow your PC down. OpenDNS stops them before they get in, and doesn't slow your PC down. Recently we came across a virus, not a hugely unusual occurrence, but in this case the infection was identified via IPCONFIG. It's a useful command but not one I would have expected to help with finding infections. The client called us with a machine that was suffering from slow internet speeds. Once we identified that it was a single machine problem we knew the issue was with the PC, not the internet connection itself. On investigation we found that when the user typed in a domain it would take 60 seconds to 2 minutes for the page to display, yet once it had displayed navigating around the site was fast. To those who know this sounds like a problem with DNS. Now this particular network has a manually setup IP configuration and used multiple internal DNS servers (complicated reasons for all that). The immediate thought was something in the machines config was wrong. However, after double checking every setting we could find nothing. Yet still the problem persisted. Eventually we ran a command to show the local DNS cache, IPCONFIG /displaydns. In here we saw evidence of the issue, multiple calls to domains with completely random names, jsfwfwpqdj.com for example. Now the machine should not have been trying to find these domains and the immediate thought was a virus or botnet trying to phone home for instructions. Thankfully OpenDNS was in use and had been blocking the domains so no real harm had been done. In fact, what was happening was each time they tried to get to a web site the machine would try contacting malware sites for a minute or two. Only after having tried, and failed, would it then go to the correct website. Who knows what would have happened should it have been able to reach the infected sites! So now we understood the issue we needed to clean up the infection, and get the machine working properly. Anti-Virus software would not run, Malware cleaning tools wouldn't install and Safe Mode resulted in a Blue Screen of Death. Leaving only a few options. So we turned to a trusty old Rescue CD, and booted the infected machine from this. If ran a full scan, found the problem files and fixed them.